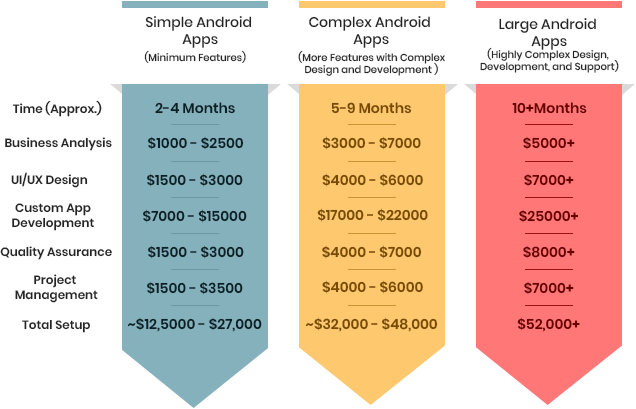 How to Figure Out Average Android App Development Cost? Acquiring a large user base, Android rules the mobile app market. More and more businesses are considering Android app development on a priority basis. But, cost is the key concern for SMEs or startups as they feel Android app development cost is quite high. There are a lot of examples where the projects are not reaching to even development phase because clients are running out of the budget. Actually, it is very difficult to estimate an exact cost, whether you want to develop an iOS app or Android app, as the pricing can vary according to the tailored project requirements. 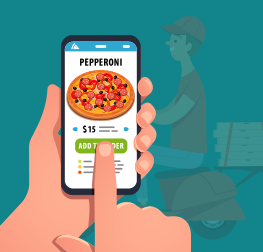 It’s a very common scenario in the mobile app development industry that the project starts with an estimated budget, but it ends with a different amount, it could be more or less. 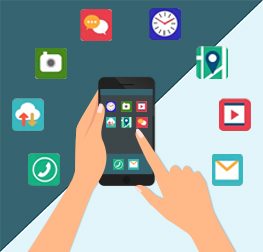 To avoid such scenarios, the best way is, businesses can have a rough estimation before approaching any Android app development company in USA. Don’t worry, we are not going to discuss any technical aspect of Android app development. This post unveils different factors that affect the costing of your application. App development journey starts with the revenue generation plan of business. The ultimate goal of any organization is to increase the cash flow and app development is an integral part to achieve this objective. The Android app development cost depends on which businesses model you are choosing to boost the ROI. 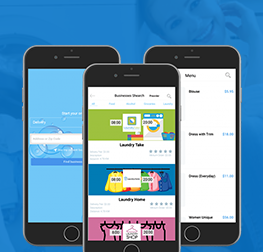 Free App – The app is available to users for free to download. Users can access the basic functionality of the application. In order to use premium features, users need to pay. It is the best model to expand your existing customer base. Paid Apps – Users need to pay a certain amount to download and use your paid Android app. In-app Purchase – It is the best business model to generate revenue for the long term. Businesses can sell their products and services from inside an application on a mobile device. In-app Advertising – Run the advertisements of your products or services in your Android app. You can monetize your app by allowing other businesses to post their ads in the paid space. Build your application specifically for the Android platform by embracing Native app development approach. Leverage an outstanding application in terms of performance, speed, security, user experience, personalization, and reliability. It allows to build a next-generation Android app by leveraging the full access to hardware and software of the OS. Native app development is costlier and more time consuming than Hybrid apps due to its capabilities. Hybrid is the best choice if you want to target multiple mobile OS such as Android, iOS, Windows, etc. Yes, this approach allows to write the code once and use it anywhere. It is a very cost effective approach and also helps you to reach out larger target audience by covering a wide range of devices. But when it comes to performance and efficiency, Hybrid apps are a bit slower than Native apps. Also, You can not take full advantages of the default OS features. Are you planning for Andoird app development? Let’s discuss your requirements and estimated project cost. It is the simplest form of app development. Table based Android app allows businesses to provide options, present the information, and redirect to other content. It requires less efforts and thus you need to invest less to build this app compared to other types of apps. These applications are complex to develop and deploy. They require varied technical integrations to perform different functions effectively. Dynamic apps do not really connect with outer resources but they extract information from the outside resources with the help of APIs. Database apps are highly complex and increase Android app development cost too. These applications process the data swiftly and display it in a logical way through the visually rich presentation. Database Android apps connect to varied websites, servers, and other online services. The app collects information from different platforms and broadcast request data. Gaming applications are very costly due to complex design, UI/UX, graphics, animations, media elements, and many other effects. As per the custom requirements, the functionality and integrated technologies vary that impact the client’s budget. Android app development cost depends on the time and efforts requires to build custom applications that deliver the expected output. More complex design, features, and functionality require more time for development. *The pricing is a rough assumption. It can be more or less as per the custom project needs. Android app development cost depends on the number of features and functionality you want to integrate into it. More complex and large scale applications require more time to build the app. Exceeded timeline directly impacts the project cost. All Android apps are having a few very common features. Login – After downloading the app, users need to login with their email id or phone no. or Facebook or other social accounts. Most of the Android apps are having this feature. For the convenience of users, it is better to allow them to login with Facebook. Profile – The Android app fetches the user’s information from his/her email id or Facebook account and integrates & use the data to create a user’s profile. Push Notification – It helps to keep your users updated with the advanced features of the app and new product or service offerings. Payment – Users can take instant purchase decision by making payment through an integrated payment gateway anytime anywhere. Social Integrations – Social Media integration is offered by almost every Andoird app. It allows users to share any information from the app to their preferred social media platforms. Geo-positioning – For the apps that require location tracking as the main feature, integration of Geo-positioning is very essential. For example; a cab booking app like Uber needs to track the real-time location of a customer and driver so they have to consider this feature. Chatbots – Chatbots help businesses to interact with their buyers instantly. It helps companies to improve customer engagement and increase sales. Credencys, a renowned Android app development company in USA, holds proven expertise in developing robust applications for diversified industry domains. During our decade long industry establishment, we have successfully handled and delivered different type and size of Android projects. We have developed the right solutions that help companies to address their business challenges and requirements. 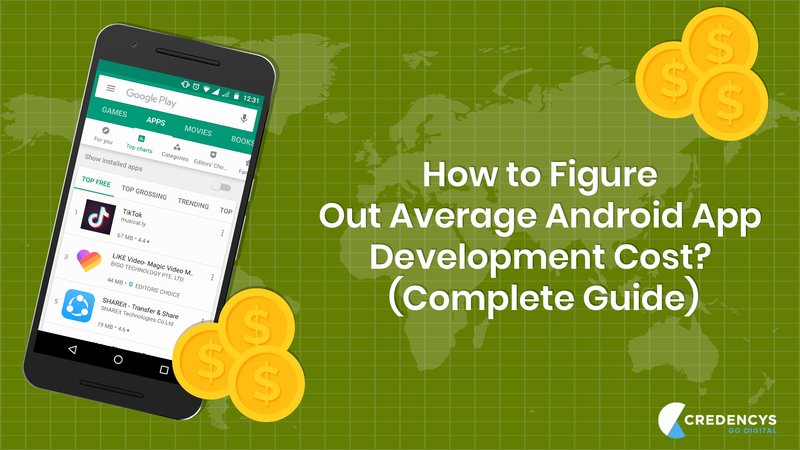 In this post, we would like to help businesses to have a rough idea about Android app development cost when they are planning to build a mobile app for the Android platform. The final cost will differ as per the specific features, functionality, and pricing model you choose. 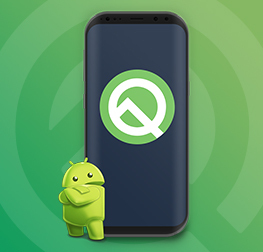 How Android Q Beta Features Impact to Android App Development? Intelligent app working proactively to help users keep their house safe from fire accidents.